Attack in the last three events of the championship. Edwards wants to build on his table lead and Johnston wants to finish in the top 10. The “Circuit de Spa-Francorchamps” is without doubt one of the most tradition-filled race tracks in the Porsche Mobil 1 Supercup calendar. With a total of 7.004km and the most famous bends in the F1 circus, such as ‘Eau Rouge’, ‘La Source’ or ‘Blanchimont’, the Belgian Grand Prix circuit is a fixed part of the Formula 1 and the Porsche Supercup racing calendar. ‘Team Allyouneed by Project 1’ wants to continue its run of top results and further build on the lead in the championship. Project 1’s goal is the exchange of experience and the targeted training of young racing drivers by professionals. Through the success of the team and its constant effort to always be the best, the experience is gained which is necessary for the training of young drivers. Put briefly, young drivers profit noticeably more and learn faster and more efficiently from a successful team. Project 1’s balance in the Porsche Mobil 1 Supercup speaks for itself. Out of 5 races, they have been on the top of the podium three times. In the three remaining events, Project 1 is clearly the team to beat. In Spa-Francorchamps, the team wants to build on its dominance, but at the end of the season the championship is the goal. Intelligence is also needed in that respect: “Up to now, everything’s run to plan in the championship. We have the new car and the new setups well under control and we know what has to be done.” said Edwards. “I always want to win and in Belgium I’d have nothing against a fourth win; but not at any price. First and foremost, it’s a question of winning important points and in a battle being able to take a step back. The pressure is on the chasers.” With 88 points, the English driver Edwards is currently lying 16 points ahead of second placed Danish driver Nicki Thiim, and 24 points ahead of German driver Michael Ammermüller. Spa, which lies around 400km away from Lohne, is for the Project 1 team almost a home race, and it’s not only the drivers who enjoy the so-called ‘Ardennes Rollercoaster’. “We always enjoy coming back to Spa. 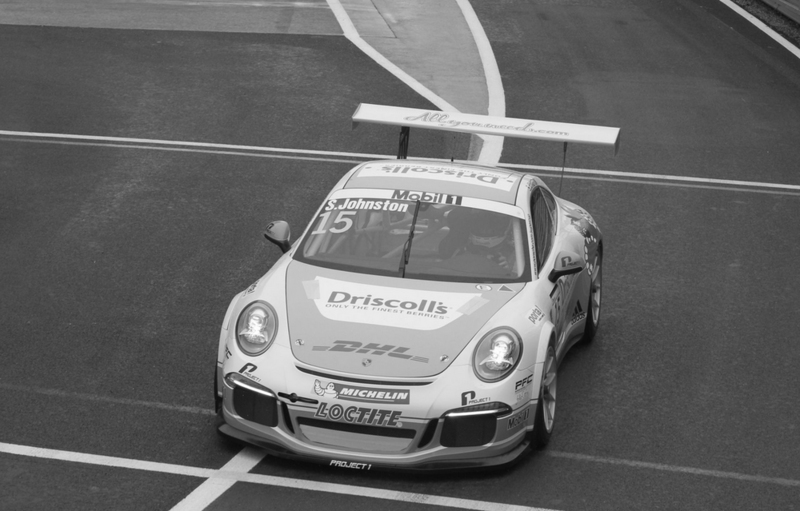 The track simply belongs to the Porsche Supercup season. We’ve had some great moments in Belgium, which we still like talking about today, and when we are making our way home on Sunday, then there will hopefully be new great moments to talk about.” said team boss Paul Schlotmann about the expectations for his ‘Allyouneed by Project 1’ team in Spa-Francorchamps. Practice starts on Friday at 4.45pm, qualifying is on Saturday at 12.25pm and the 30 Porsche 911 GT3 Cup Type 991 start the 6th race in the Porsche Mobil 1 Supercup on Sunday at 11.45am. The Supercup can be viewed as usual on the Pay-TV channel Sky and also on Eurosport.